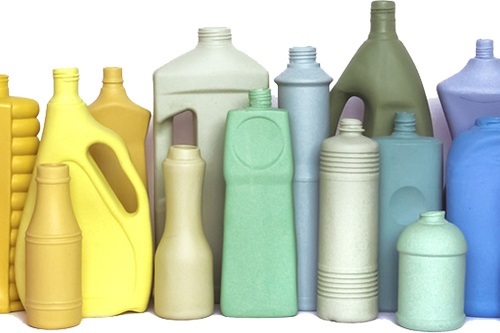 At Kleen-Eezy we specialise in the manufacture and sales of household detergents and industrial perfumes. For over 20 years we have held the number one spot in household detergent manufacturing in the Western Cape and in the past few years, we have branched out into industrial perfumes and many other products that are required in the chemical industry. We import many of our raw-materials and are proud to share that we have become one of the leading suppliers to many chemical manufacturing companies across South Africa. Kleen-Eezy is also the leading supplier to laundries in South Africa. Our business is centred around great products and followed up by personal and professional customer service. With Kleen-Eezy products, you receive massive savings on your monthly cleaning bills. Kleen-Eezy. The name you can trust! Our general products are available to the public via our retail outlets and also available to our whole sale customers such as laundromats and re-sellers. All products that are in containers can be sold empty, without product inside. Kleen-Eezy specializes in the whole sale of raw materials to our customers. Depending on the products, our raw materials are available in the following package sizes: 2kg, 5kg, 25kg and 1000kg. We have expanded our perfume manufacturing plant. Our perfumes are available in the following package sizes: 1kg, 4kg and 20kg. 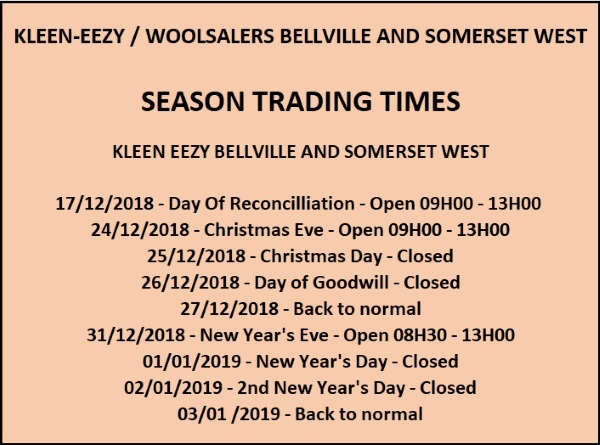 Kleen-Eezy Woolsalers is undoubtedly the best wool factory shop with the lowest prices in South Africa. The store contains virtually everything and anything wool related. The stock is vast and includes all haberdashery items plus much more. All types of wool, including sheep, lambs, alpaca, mohair, nurturing fibre plus much more, from "plain" wools to "fancy" wools. Wools can be bought in single balls, bales or cones - no purchase is too small or too big. Further bulk discounts can be had for purchases above R3 000. We do not courier or do deliveries. We are however more than willing to make up a consignment as ordered and you can arrange for your own couriers to collect and deliver.